Thrilled to host such a talented and dazzling couple in our academy. Series of workshops dedicated to Tango Salon, Choreography and Folklore. It is a unique and not to be missed opportunity. 3:30-4pm CHAT with E&A – how a choreography is created, for a solo couple, for a group. What are the things to bear in mind, what are the challenges, how to decide about the story, the character of the dance, lead and follow in Choreography and much more. This is an open chat where you will be able to ask questions and there will be a short demonstration. 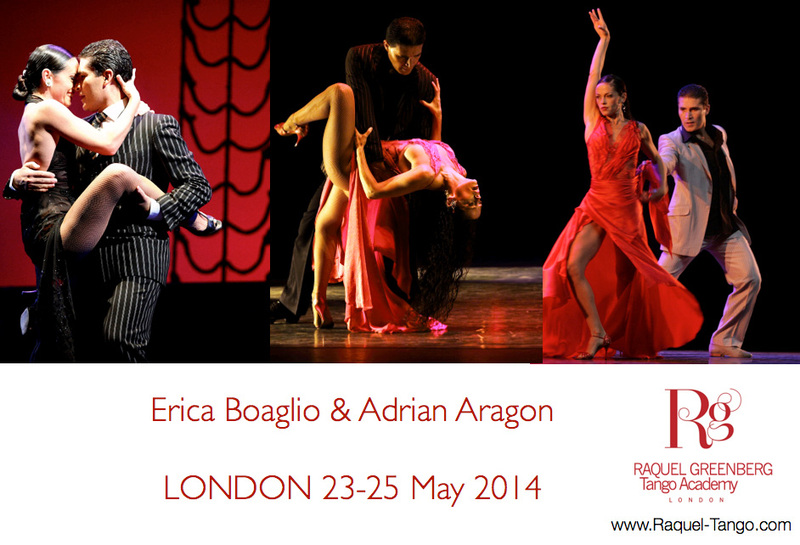 *Choreography – Erica and Adrian will allow you to experiment choreography dance (as opposed to improvisation). This training is not aimed only if you plan to be on stage and as a fun thing to experiment but it is an eye opener for stronger connection with the music when you dance, improvement of posture, attitude and technique and better understanding of the team work. 2:00-3:30pm TANGO SALON – maintaining the embrace and elegance in figures designed for the dance floor.